Last night was our turn to host our weekly neighborhood potluck. 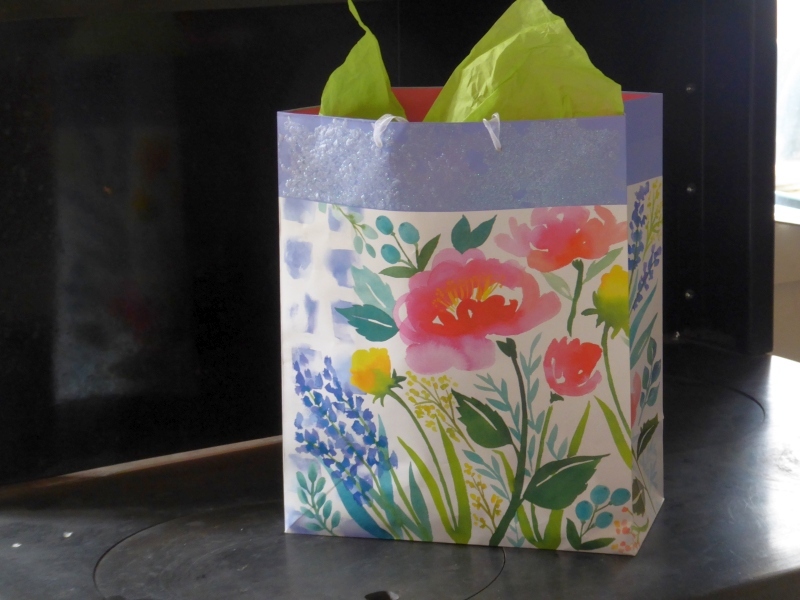 Unexpectedly one of our neighbors handed me a small gift bag, with instructions not to look inside until everyone had gone for the evening. I nearly burst into tears. I'm not normally a fan of knick-knacks, but this one blew me away. 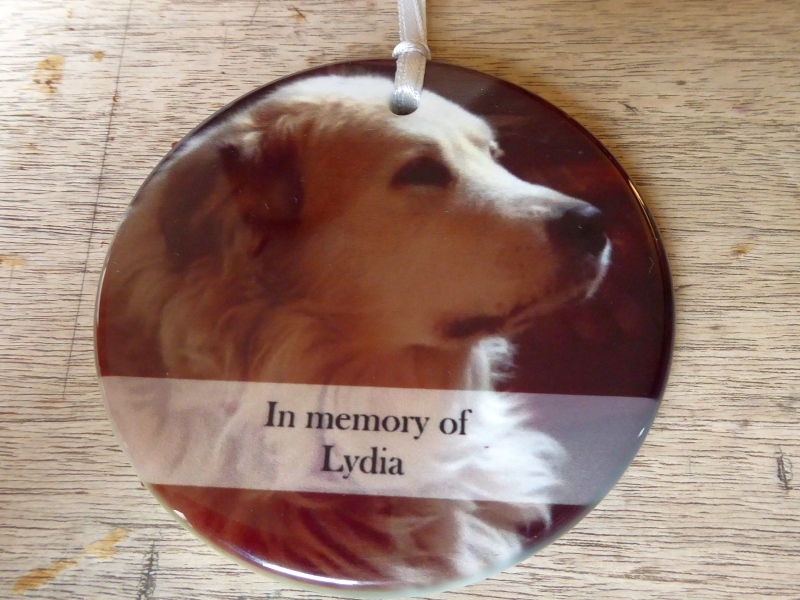 The fact that these kind people had gone out of their way to find a lovely picture of Lydia, then have it enshrined on this ornament, touched me deeply. I treasure it. I started crying when I saw the pic of Lydia. They are in our hearts for ever. It made ME tear up and make the effort to comment here. You have some sweet neighbors. That DID make me cry. So kind of them. That was so thoughtful of your neighbors. Sometimes these are the best gifts! Wow...that was such a great gift! Such kind hearts. I loved the picture of Lydia. You've got some great neighbors there. Hang onto those treasures and memories. You have some awesome neighbors! Lydia had some friends outside of the family. She must have been as sweet as I thought. What a kind, thoughtful thing to do. Wow, was that ever sweet! So glad to hear you have such thoughtful people living near you. You have kind thoughtful neighbors...What a gesture of love from one to another...May the Love of God always be with you and your neighbors...For that matter all people should be kind and thoughtful. Dogs, what would human be without their companionship! 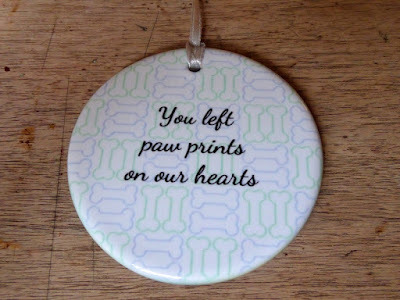 Our furry friends DO leave paw prints on our hearts. 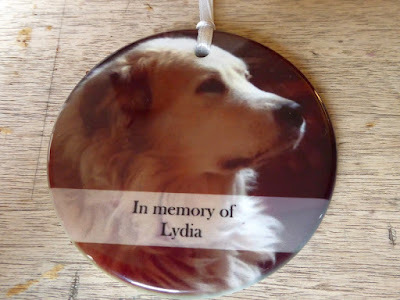 Lydia was an amazing friend, your photos through the years are proof. Your neighbors are also quite special. That gift is amazing. I know she always supervised when you put up the tree, now she will be memorialized on the tree. I miss Lydia and Major too. I have my own dog "Jackson" but I miss other people's dogs because I know what they mean to them. My condolenses. 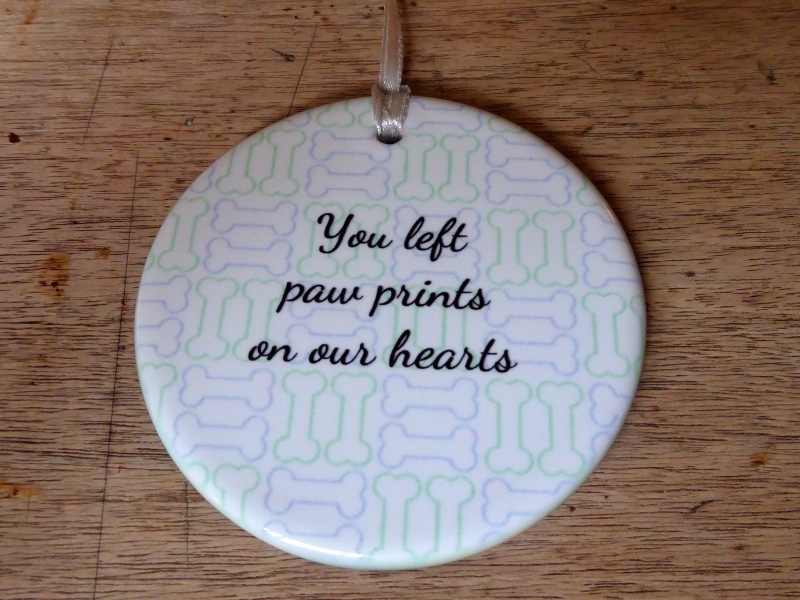 She sounded like a mighty fine dog who was well loved and was given a great life.